The field of electronics comprises the study and use of systems that operate by controlling the flow of electrons (or other charge carriers) in devices such as thermionic valves (vacuum tubes) and semiconductors. 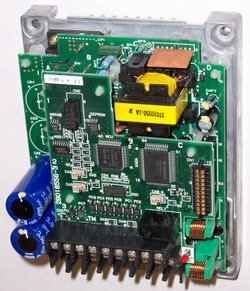 The design and construction of electronic circuits to solve practical problems is an integral technique in the field of electronics engineering and is equally important in hardware design for computer engineering. All applications of electronics involve the transmission of either information or power. Most deal only with information. The study of new semiconductor devices and surrounding technology is sometimes considered a branch of physics. 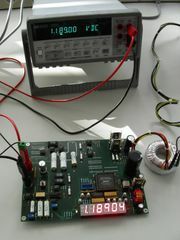 This article focuses on engineering aspects of electronics. The controlling and processing of data. The conversion to/from and distribution of electric power. Both these applications involve the creation and/or detection of electromagnetic fields and electric currents. While electrical energy had been used for some time prior to the late 19th century to transmit data over telegraph and telephone lines, development in electronics grew exponentially after the advent of radio. Inputs – Electronic or mechanical sensors (or transducers). These devices take signals/information from external sources in the physical world (such as antennas or technology networks) and convert those signals/information into current/ voltage or digital (high/low) signals within the system. Signal processors – These circuits serve to manipulate, interpret and transform inputted signals in order to make them useful for a desired application. Recently, complex signal processing has been accomplished with the use of Digital Signal Processors. Outputs – Actuators or other devices (such as transducers) that transform current/voltage signals back into useful physical form (e.g., by accomplishing a physical task such as rotating an electric motor). An electronic component is any indivisible electronic building block packaged in a discrete form with two or more connecting leads or metallic pads. Components are intended to be connected together, usually by soldering to a printed circuit board, to create an electronic circuit with a particular function (for example an amplifier, radio receiver, or oscillator). Components may be packaged singly (resistor, capacitor, transistor, diode etc.) or in more or less complex groups as integrated circuits (operational amplifier, resistor array, logic gate etc). Active components are sometimes called devices rather than components. Hitachi J100 adjustable frequency drive chassis. Analog circuits are sometimes called linear circuits although many non-linear effects are used in analog circuits such as mixers, modulators etc. Good examples of analog circuits include vacuum tube and transistor amplifiers, operational amplifiers and oscillators. Some analog circuitry these days may use digital or even microprocessor techniques to improve upon the basic performance of the circuit. This type of circuit is usually called 'mixed signal'. Digital circuits are electric circuits based on a number of discrete voltage levels. Digital circuits are the most common physical representation of Boolean algebra and are the basis of all digital computers. To most engineers, the terms "digital circuit", "digital system" and "logic" are interchangeable in the context of digital circuits. In most cases the number of different states of a node is two, represented by two voltage levels labeled "Low" and "High". Often "Low" will be near zero volts and "High" will be at a higher level depending on the supply voltage in use. Mixed-signal circuits refers to integrated circuits (ICs) which have both analog circuits and digital circuits combined on a single semiconductor die or on the same circuit board. Mixed-signal circuits are becoming increasingly common. Mixed circuits contain both analog and digital components. Analog to digital converters and digital to analog converters are the primary examples. Other examples are transmission gates and buffers. Noise is associated with all electronic circuits. Noise is generally defined as any unwanted signal that is not present at the input of a circuit. Noise is not the same as signal distortion caused by a circuit. Today's electronics engineers have the ability to design circuits using premanufactured building blocks such as power supplies, resistors, capacitors, semiconductors (such as transistors), and integrated circuits. Electronic design automation software programs include schematic capture programs such as EWB ( electronic work bench )or ORCAD or Eagle Layout Editor, used to make circuit diagrams and printed circuit board layouts.